Why it matters: By BioWare’s own admission, Anthem had a far from smooth launch, but that didn’t stop it from becoming the best-selling game in the US during February. Additionally, it was the second top-selling game for the whole of 2019 so far and had the second highest launch-month sales in BioWare's history, beaten only by Mass Effect 3. Industry-tracking firm The NPD Group's latest sales report reveals that only Kingdom Hearts III has sold more copies in 2019 than Anthem, and that’s not counting the shooter's PC digital sales. It’s likely that the amount of money EA threw behind its marketing campaign and the hype it generated resulted in plenty of preorders. 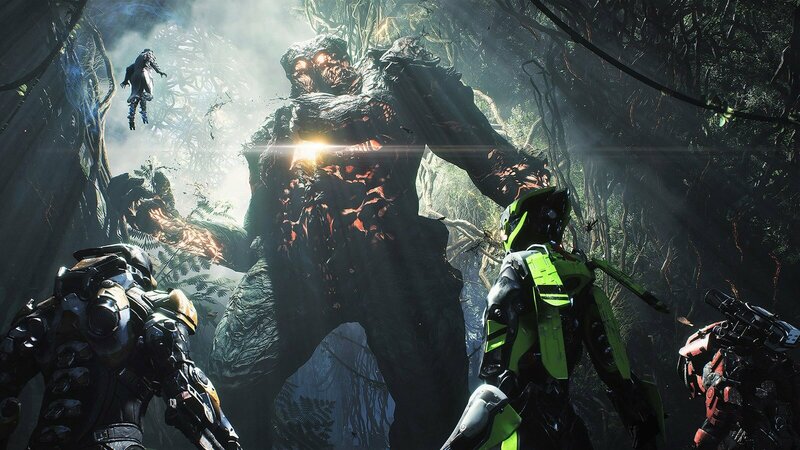 Anthem received mostly average to negative reviews from critics, and it’s suffered plenty of bugs, crashes and performance issues following its release, but BioWare says it has delivered over 200 improvements through patches and live updates, and it promises more to come. Other top-selling games in February included Jump Force, whose launch sales are the third-highest ever for a Bandai Namco game. This was followed by Kingdom Hearts III and Far Cry New Dawn—another title that wasn’t loved by critics. The excellent Metro Exodus was eighth, even without PC sales being counted, setting a launch-month sales record for the franchise. It beat Metro: Last Light by nearly 50 percent. In the hardware category, the Nintendo Switch was the best-selling console for both February and 2019 as a whole, giving Nintendo its best February in terms of money made from hardware since 2011. Overall hardware spending, however, was down 12 percent YoY to $277 million, but spending on software across console, portable, and PC reached $457 million, up 15 percent. Year-to-date software spending, meanwhile, was up 10 percent to $896 million.